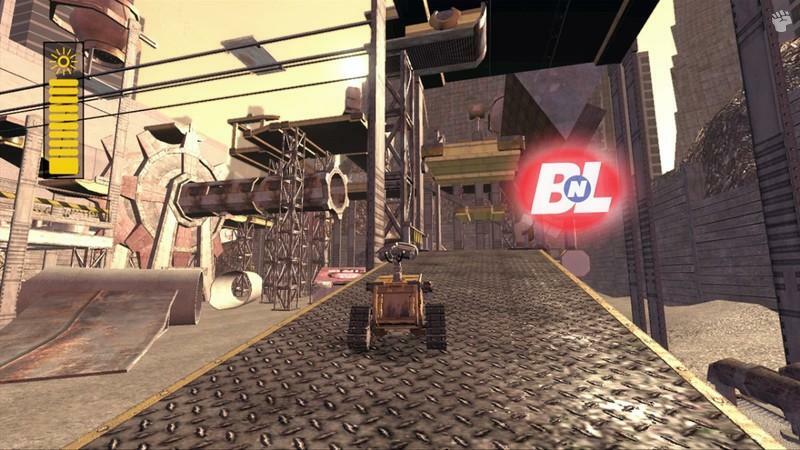 Aimed at the younger gamer, WALL-E may not deliver for the older gamer, however the younger games will simply adore the magic of WALL-E on PlayStation 3 with classic arcade goodness. Based on the recent movie of the same, WALL-E is set in the distant future where mankind has decimated Earth with rubbish. The company responsible for most of the litter has came up with the ingenious idea of relocating mankind to space until the mess is cleaned up by an army of WALL-E (Waste Allocation Load Lifter Earth-Class) robots. Unfortunately these robots eventually fall over, except for one who is still intent on cleaning up the planet. This last remaining WALL-E has somehow developed a unique individuality and personality who has a passion for collecting and a love for classic movies. WALL-E yearns for companionship and one day, a robot called EVE who has been given the task of searching for life on Earth comes across our little robotic garbage collector. 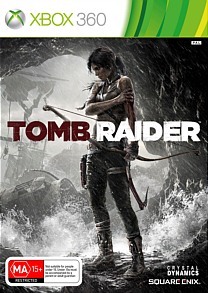 Together they form a relationship and this is where the player takes over as the game re-enacts a variety of key moments from the film as they explore 10 different gaming environments. Even though Disney and PIXAR have an excellent track record of creating quality movies for the entire family, generally movie ports are a little lackluster when they are converted to the gaming world. 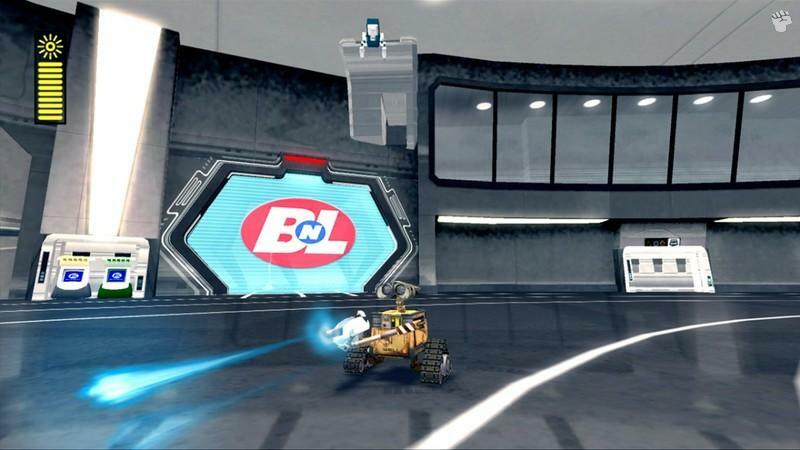 With this is mind, WALL-E on the PS3 is your classic arcade game where you must collect a variety of items, defeat enemies and also explore glorious 3D environments as you attempt to solve the variety of quests that have been given to you. The game itself has definitely be aimed at the younger game which is quite simplistic at times, however is perfect for this sometimes ignored genre. Initially the game is quite slow, however it does teach the gamer the basic controls of the title and as you progress, so does the storyline and entertainment value. Another interesting aspect to the title is that the player is not just solely in control of WALL-E, gamers can also play as EVE which is spruces up the gameplay as you fly around and even blast things as this “female” robot intent of discovering life on Earth. The control system of WALL-E is quite apt on the PlayStation 3 with a good control system and great camera control which goes hand-in-hand with the gameplay and nothing seems too forced or contrived in this aspect. For the more mature gamer who may have enjoyed the film, the game doesn’t offer much in replay value or extras that at times is quite repetitive. 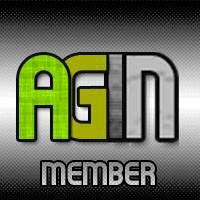 There is a multiplayer option of up to 4 players that will give the younger gamer and their friends a little added excited. There are a number of different mini-games littered through the game which does add to the total gaming experience, however from seeing the movie, the developers were kind of limited to what they could achieve with this game. It’s not a bad game, it’s just lacking some innovation and originality when it comes to this genre that is already an overcrowded market. 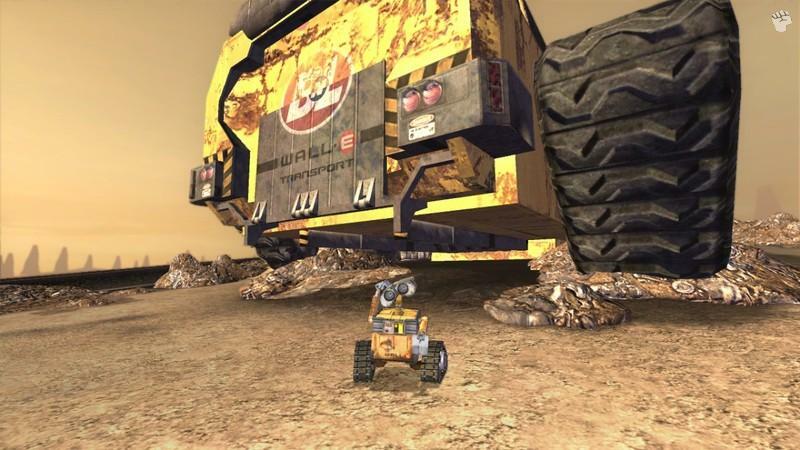 Graphically, the developers have flawlessly recreated the world of WALL-E which mimics the movie quite well. Quite a few of the characters have been included into the title who move like their movie counterparts. Really good animation! Match that with a variety of special effects and a decent colour palette (although the PS3 colour palette is a little washed out when compared to other versions) and it’s almost like you are part of the movie. 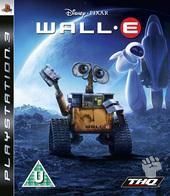 The music from the movie also graces the title as do the strange futuristic sound effects and the electronic chatter of WALL-E. In conclusion, WALL-E on PS3 is a good to medium game for younger gamers that has no violence per se and is good old fashioned entertainment and gameplay. It’s definitely a kid’s game and should be viewed as a kid’s game with good graphics and some great sound bites from the film itself. Definitely one for those who enjoyed the movie.